Maui abounds with IDYLLIC WEDDING SETTINGS, and boasts a long list of innovative, professional wedding planners who can take care of all your dream details. A very affordable venue is TRINITY EPISCOPAL CHURCH BYTHE-SEA. Founded in 1852, this historic house of worship was refashioned into a unique outdoor sanctuary surrounded by kiawe and plumeria trees in the 1970s. Open seven days a week, both its sanctuary and beach are ideal wedding locales. And its large patio area is the perfect spot to host a post-nuptials reception. Here, warm aloha and exotic bird species capture the essence of this open-air spiritual place. Visit trinitybts.org. to find out more about planning the perfect MAUI MATRIMONY, contact the MAUI WEDDING ASSOCIATION (mauiweddingassociation.com). 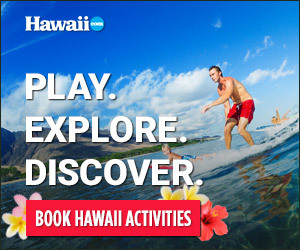 See more or check out all 101 Things To Do on Maui!